You can reset your Cpanel passwords from client area. 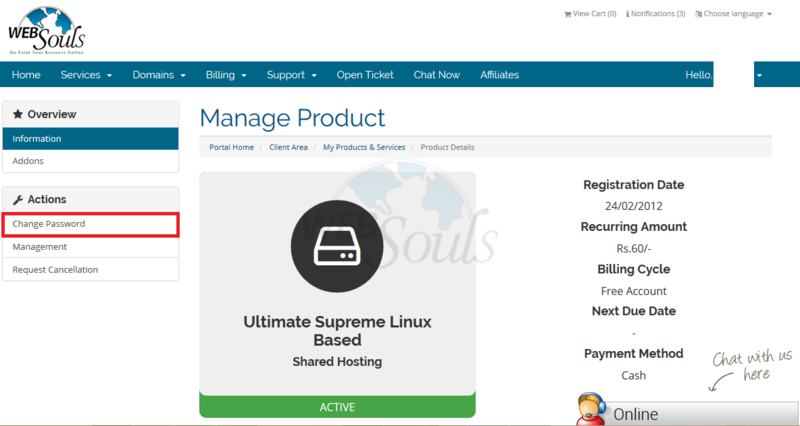 To do so, you need to get logged in to client area at https://billing.websouls.com/clientarea.php. Don't you have client area credentials? Then click on to relevent service whom you want to reset the password. Enter your new password, confirm it again and press Save Changes as descripbed in below picture. Important: New password must be more than 8 characters included alpha numeric, special characters etc. Otherwise system will not accept new password.